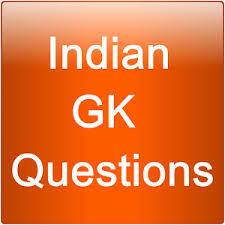 General Knowledge questions on Indian GK for Bank PO, IBPS, Bank Clerical And Indian GK For Railway GroupD,RPF,Rajasthan Police SI 22-10-2018 questions for bank exams, very important computer-related questions for Bank PO, SBI PO, IBPS,RAS, IAS, UPSC, RPSC, 1st, 2nd, 3rd Grade Teacher, REET CTET, LDC, SSC CGL, IBPS, MBA, CAT, MAT, SBI-PO, RBI And Railway, Indian Army And all competitive Exams, and Most expected Computer Question Papers with answers. These Questions are most commonly asked in Other Banking Exam And All subject Wise Notes and Math, Hindi, English, History, Political Science, Psychology, Sanskrit Related Study material. Question(1) Who was the famous Sufi saint of Akbar? अकबर के समकालीन प्रसिद्ध सुफी संत कौन थे ? Question(2) When and when was Sher Shah Suri born? शेरशाह सूरी का जन्म कब व कहां पर हुआ था ? Question(3) Where is the Tomb of Shershah located? शेरशाह का मकबरा कहां पर स्थित है ? Question(4) Who made the tomb of Humayun? हुमायूं के मकबरे का निर्माण किसने करवाया था ? Question(5) Who was the founder of the Mughal dynasty? मुगल वंश का संस्थापक कौन था? Question(6) When Babur sat on the throne of Fargana? बाबर फरगना की गद्दी पर कब बैठा? Question(7) Where is Fargana presently located? फरगना वर्तमान में कहाँ स्थित है? Question(8) How often did Babar invade India? बाबर ने भारत पर कितनी बार आक्रमण किया? Question(9) When was Panipat’s first war? पानीपत का प्रथम युद्ध कब हुआ? Question(10) What was the first war between Panipat and Panipat? पानीपत का प्रथम युद्ध किस-किस के बीच लड़ा गया?